We are at the beginning of a new era for our group: subject to the approval of our shareholders in April, Fortis will become ‘ageas’. This change of identity is a logical next step in our evolution from bancassurer to international insurance company. Our new name confirms our rebirth as a new company, but one that will benefit from past experience and the professional expertise concentrated within our group. 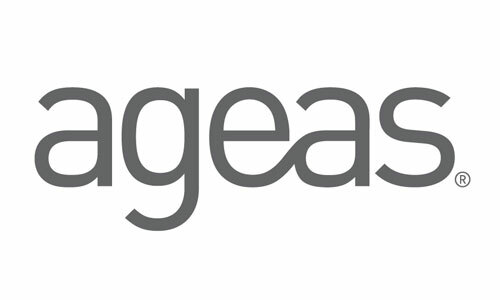 ‘ageas’ is the key to our new identity. The name reflects who we are, what we do and where our focus and priorities lie. • The first two letters honour our roots: they have been synonymous with excellence since the creation of AG Leven in 1824, and represent over 180 years of know-how and experience in insurance and bancassurance. • The ‘e&a’ at the heart of the new name refers to our two key markets: Europe and Asia, the combination of which accounts for the lion’s share of the global insurance market. This international character is an essential part of our identity: ageas employs 10,000 people, each with their own individual talents, cultural background and expertise, but united by a common vision. We are part of the fabric of the local communities in which we operate, allowing us to adapt more easily to market conditions and customs. • The final ‘as’ stands for ‘assurance’ and a single-minded focus on our core insurance business. Nothing more, nothing less. Our ambition now is for ageas to become the benchmark for the insurance sector. Like our group, the name ‘ageas’ is more than the sum of its parts. It derives from the Latin word ‘agere’, meaning action, drive, and a conviction to forge ahead. Each of these attributes are important to us. They are the key to creating value for all our stakeholders. The name ‘ageas’ is not capitalised. This understated approach is deliberate. We know our business, but we don’t want to force our opinions on anyone. We want an open and transparent dialogue between equal partners. At the same time, the lack of capitals heightens the sense of unity within our group. No part stands above the rest. All of us at our new company have the same goal: to fulfil our potential as an international insurance business.